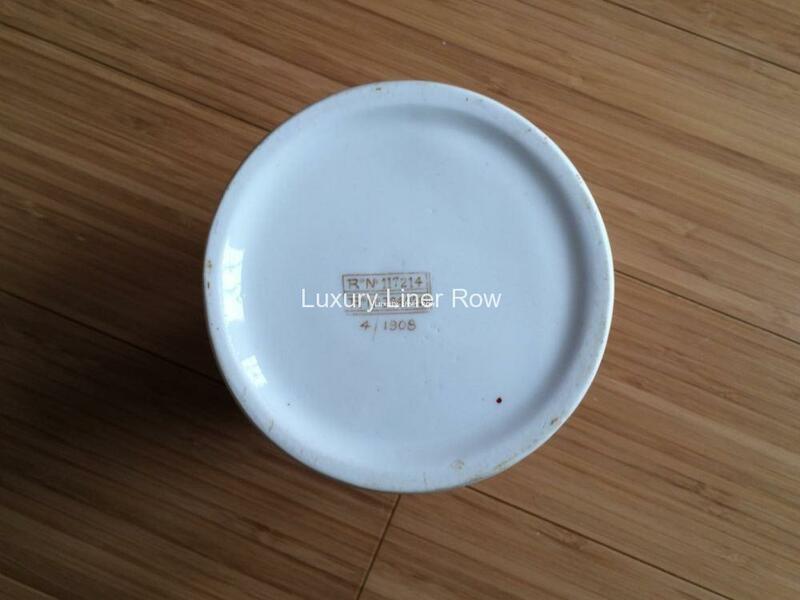 In an interesting and happy bit of corporate cost saving, both White Star Line and Red Star Line used the same turquoise-and-brown china pattern in first class. 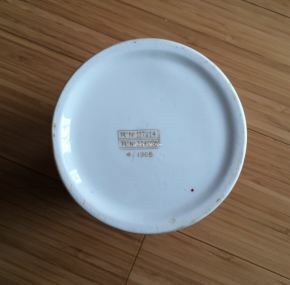 This pattern is made famous by its use on both Olympic and Titanic with large-sized milk pitchers such as this having been recovered from Titanic’s wreck. Both lines were owned by the same corporate parent company (IMM), and I speculate they went to the china maker (likely Spode) and asked what it would cost for a bulk order of china that covered both lines. This is the finest-quality bone china and is in absolutely mint condition. Date marked to April, 1908, and almost certainly made for the Lapland which entered service in June, 1908. 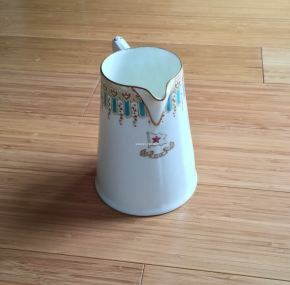 Measures about 5″ tall x 5″.